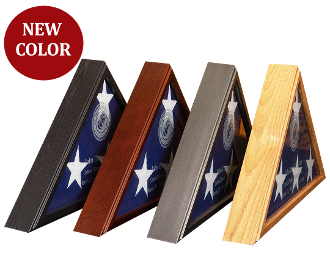 Our Sergeant Laser engraved American Flag Display box is our newest addition! The Sergeant Flag Case is handcrafted to the highest standards with American hardwoods in the mountains of North Carolina with the finest fit and finish in the industry. But now offering you even more options for customization. the Sergeant Flag Case is Available in Black, Cherry, Gunmetal Gray, Vintage Oak. The Case will be perfect to any flag that mesure 22- 24 inchess from the left cornner to the right cornner. 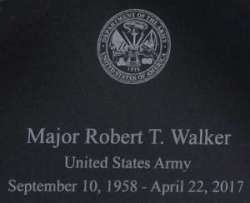 Can be wall mounted or displayed table top for the display of a 5' x 9 1/2' American or Burial Flag. Includes your choice of laser engraving and/or laser medallion. Great Seal, Air Force, Army, Navy, Marine Corps, Coast Guard, Police, Fire, VFW, American Legion. Made in America. FAST and secure shipping. and now you can Customize It!